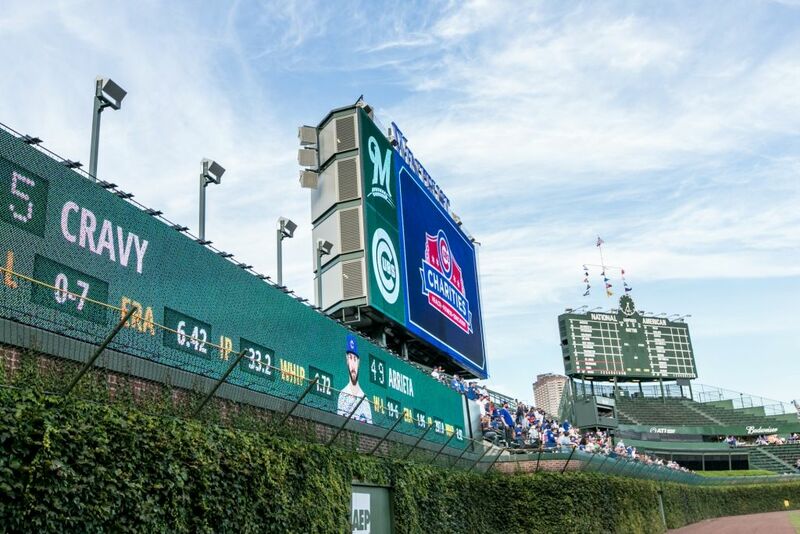 NOTE TO EDITORS: PHOTO CREDIT MUST BE USED: Photo courtesy of Chicago Cubs / Stephen Green. ©2015 Chicago Cubs. All Rights Reserved. LEWISVILLE, Texas (September 29, 2015) – Durability, speed of installation and color-matching ability led to the specification of wall panel products from Metl-Span as part of 2015’s most visible sports venue restoration in the United States. 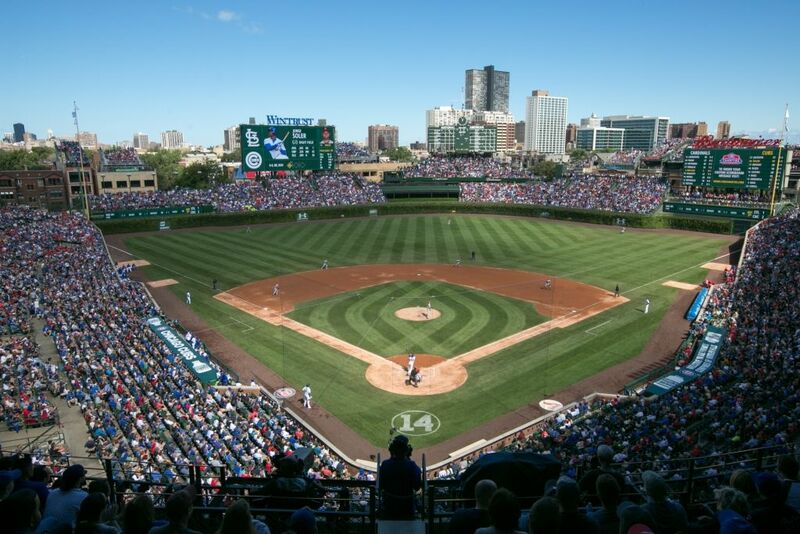 Wrigley Field is home to the Chicago Cubs and undergoing a multi-phase, $575 million restoration and modernization program dubbed the 1060 Project. Underwood is joking, of course, but he was excited to be a part of the restoration and modernization of Wrigley Field. All-American Exterior Solutions has worked on several sports facilities in the Windy City, including practice facilities for football’s Chicago Bears and basketball’s Chicago Bulls. 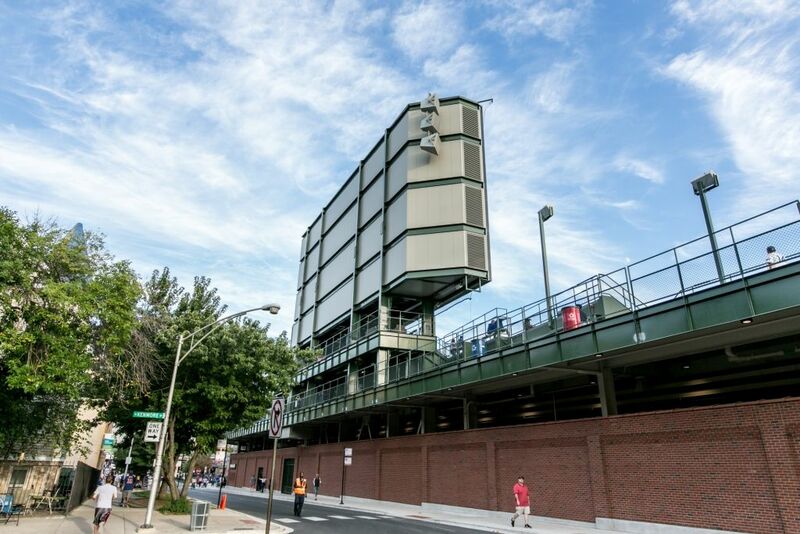 All-American Exterior Solutions’ role in the 1060 Project included enclosures for the new video boards behind the bleachers in left and right field. 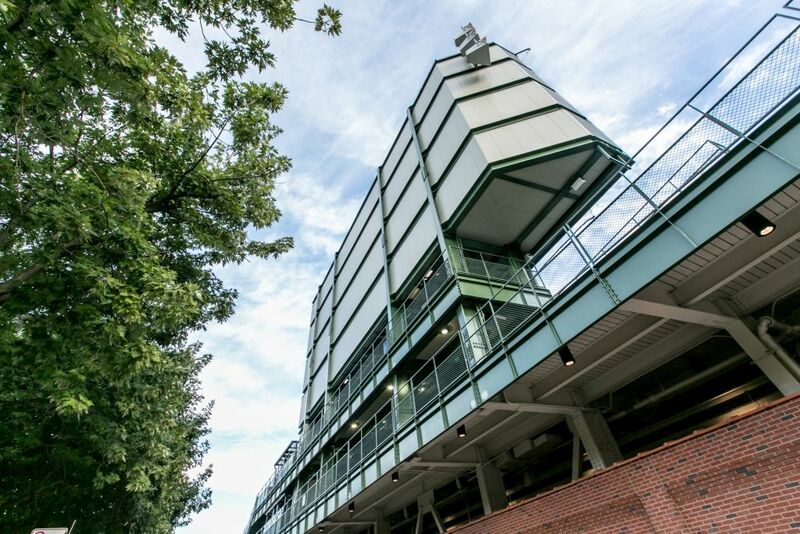 The video board in left field is four stories tall, providing more than 3,900 square feet (42 x 95 feet) of high-definition viewing pleasure for fans. Metl-Span’s CF30 architectural panels in two colors with a smooth finish were installed on the sides, bottom and back of the video boards. The panels were also installed to enclose adjacent elevator areas. The colors were Gettysburg Gray to match the back of the historical scoreboard in center field and Scoreboard Green to match the front of the scoreboard and the exposed steel studs supporting the new video boards. “No one likes waiting around for someone else, so we worked some long days, some weekends, trying to get it all done as soon as possible,” Underwood says.